Calling all nerd bakers! 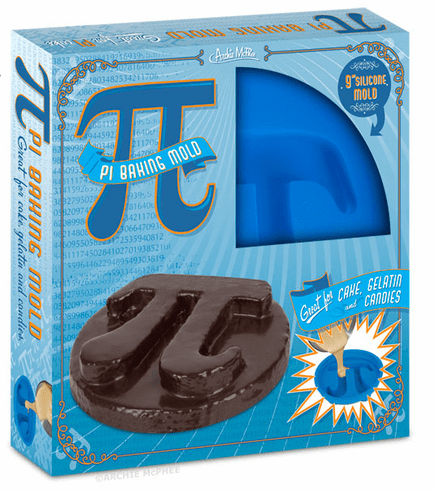 This Pi Baking Mold will let you make a cake with the mathematical symbol for pi on top. The usual formula for pi is the ratio of the circumference to the diameter of a circle, but in this case it's the ratio of awesome to delicious! Each silicone baking mold is 9" (22.9 cm) in diameter and 2" (5.1 cm) tall, which is enough information for you to figure the volume! Show your work. Great for cakes, gelatin and candies.